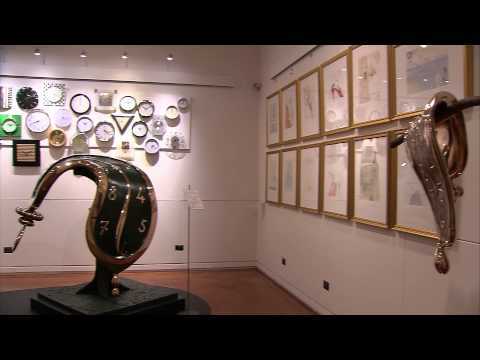 Local and visitors can enjoy 100 works by the Master of Surrealism, Salvador Dalì, this fall which are on display at Palazzo Medici Riccardi, the beautiful headquarters of the Province of Florence. Called The Dalì Universe, the exhibit is a rare treat to enjoy the lesser-known works of the twentieth-century Catalan artist. Best known for his striking and bizarre Surrealist images on canvas, the exhibit in Florence, instead, presents works in a range of mediums, including etchings and lithographs, drawings and watercolours, sculpture and works in coloured glass. The show even has a section highlighting Surrealist furniture. On loan from museums and private collections from across the world, the works showcased express two main themes: the female form and sensuality and the passage of time, themes that returns throught the artist’s long and distinguished career. At the show you can expect to see his Surrealist set of cutlery, with spoons made from the shells of mussles as well as a host of bronze sculptures with Dalì’s signature melting clocks and others depicting women in sensual and feminine poses. Butterflies abound as do wings and horses and other fantastical characters. Like other intellectuals of his era, such as Pacasso, Mirò and Chagall, Dalì’s interests ranged from literature to philosophy to socialism. This is evidenced by the series of etchings and lithographs he made for illustrated books written by the libertine Marquie De Sade as well as Boccaccio’s Decameron. The exhibit promises to amaze – as Dalì has always done – so don’t miss it! It runs until March 25, 2013 and entrance costs just 10 euro. For details, consult www.provincia.fi.it.